Reading is a pastime I've learned to love as I get ... younger ;-) When I was still studying, I saw reading as a burdening task. I hated history and literature subjects. I didn't enjoy classical novels and later writing a comprehensive book report. The only books I would love to read are those famous teenage sequels. 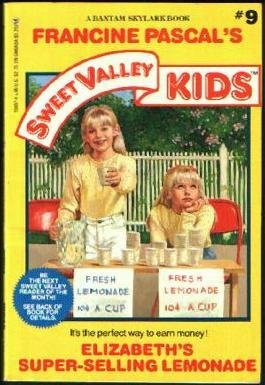 Remember Francine Pascal's Sweet Valley Kids, High and University? I was once addicted to the twins, Elizabeth and Jessica. Back in Elementary, I would hurry to the Library every dismissal time and race over borrowing the newest copy of the series. For those who are not familiar, The Baby-Sitters Club is a novel series about a group of middle school students who decided to run a baby-sitting business. They would baby sit kids in order to earn and raise funds. The members of the group are actually best friends and the story evolved on their baby-sitting adventures and common experiences of kids entering their teenage years. 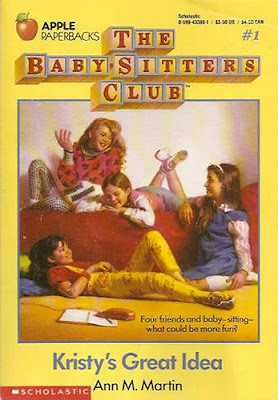 I enjoyed reading The Baby-Sitters Club because I can identify with the characters of the story. I even share the same struggle to some of them. Growing up painfully shy, struggling with Math subjects, being disliked by some classmates for no reason at all and wishing that I have my own group of trusted friends, this novel series gave me the company and understanding I needed during that struggling stage of growing up. Anyone familiar with these books? 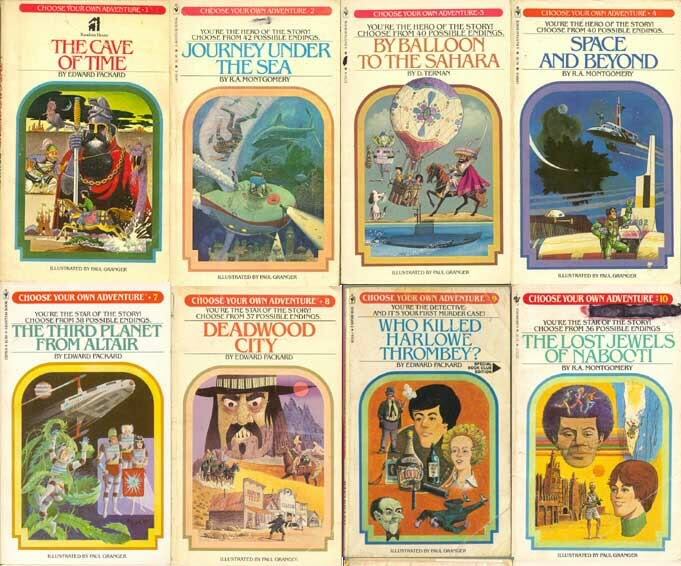 These are the Choose Your Own Adventure (CYOA) series. CYOA is like a gamebook where the reader is presented with an initial story. The reader will later be given choices. The reader's decision will lead to a unique ending. What I love about these series, I learned the process and consequences of decision making. I remember reading a story about being trapped in an island. My first choice was to stay in the island and hope for rescue to come. The ending of such choice? I was forever trapped in the island and was forced to face my new life. That simple fiction brought some impact in my life at an early age. If I want real changes and improvements in my life, then I must make a move. I can't sit down and wait for some heaven sent blessings to come. And up to this point, that principle thrives in me. It's equivalent to saying that in life, to get things you never had, you have to do something you never did. How about you? What are the books you have learned to love as you were growing up? P.S. Photos are not owned by the author. Sources are linked to each picture. 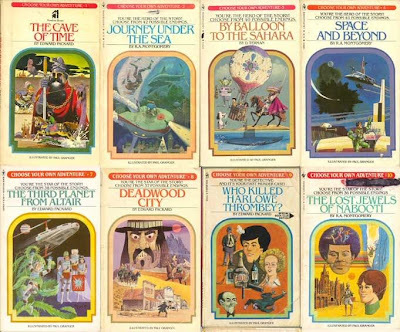 I wish I could remember the book series I kept all summer long from the elementary school library. I was scared to death to go back to school in the fall. I guess I thought they'd arrest me for keeping them so long. I loved to be read to, but I didn't love to read until I became a mother. I've had a voracious appetite for books since. Back in the 50's, yes the 50's! I read "The Bobbsey Twins" What was it with all those writer's doing twin books? Nancy Drew was another series I read. I'm sure you have no idea about these books. Books are wonderful. I read all my novels now on Kindle but still keep a library of cookbooks and art books. the babysitters club was my ultimate favorite! you brought me back memories! OMG!! Diane, I was obsessed with Jessica and Elizabeth!! I followed them all the way to College. Hahaha!! and the BabySitter's club. Loves!! My children read these and I still have some for the grandies to read. Growing up for me it was Nancy Drew and the boxcar children. I couldn't get enough of them. Thank goodness that there are writers out there to spark the interest of children. I don't read nearly enough now. Seems like there's always something that takes priority. I need to take time and do that!